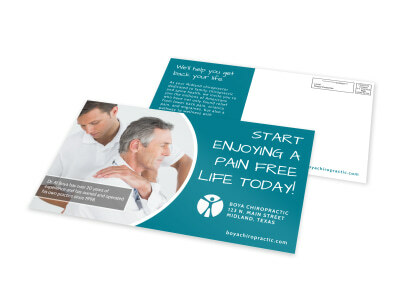 Customize our Chiropractic EDDM Postcard Template and more! 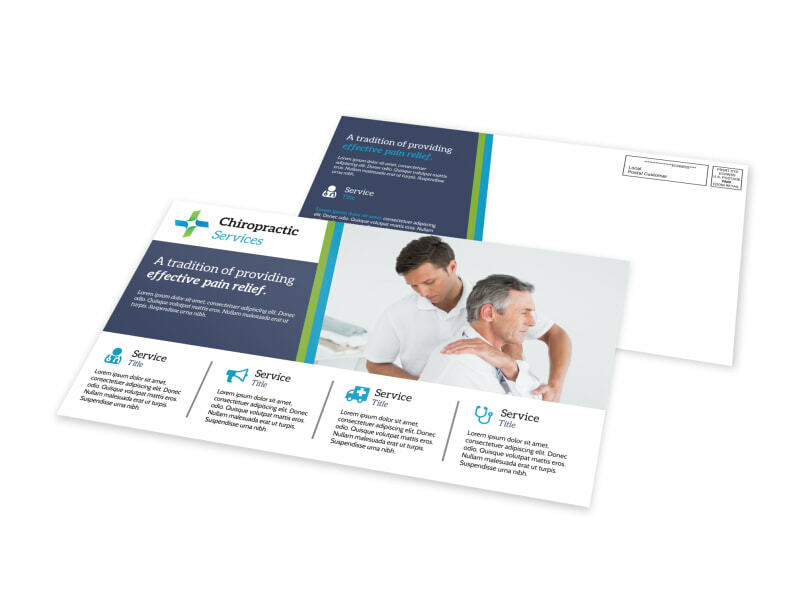 Send out reminders to patients to come in for a spine adjustment with this postcard that you customer yourself with the use of our online editor. 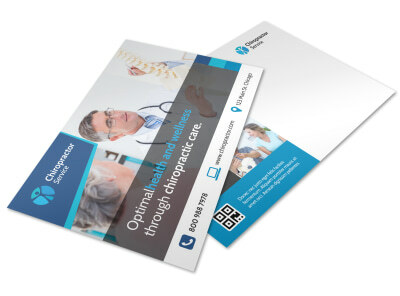 Insert relevant images to highlight your compelling text and choose a color theme that best represents your practice. 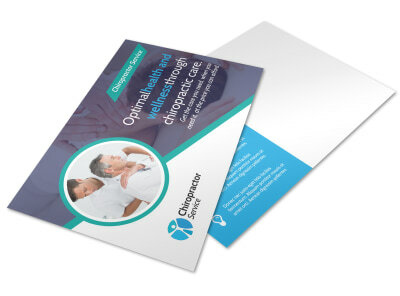 Print your postcard from anywhere and drop in the mail ASAP.